Specific LaguioleThere are 740 products. You will find here the most common models with blade carbon XC75, the blade which oxidizes (which darkens). 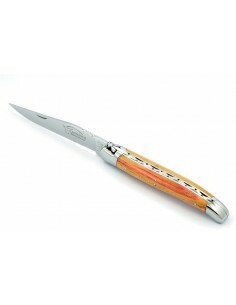 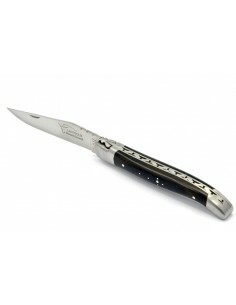 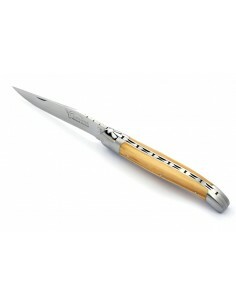 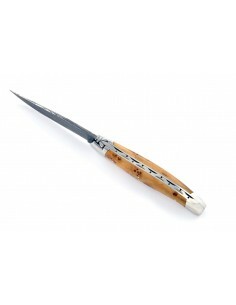 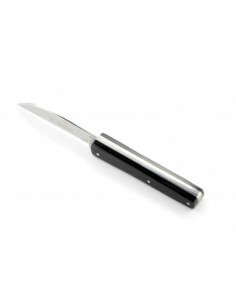 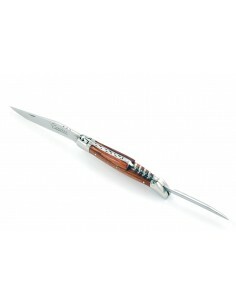 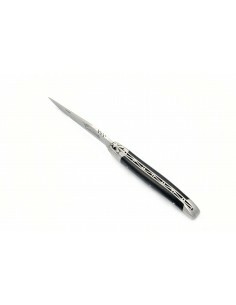 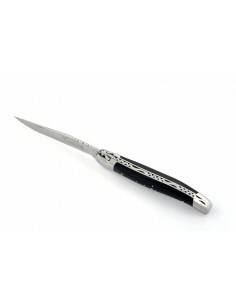 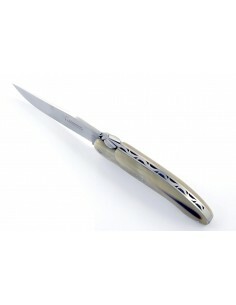 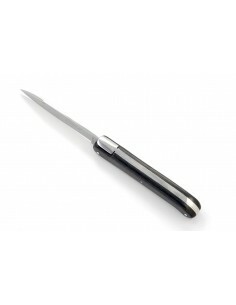 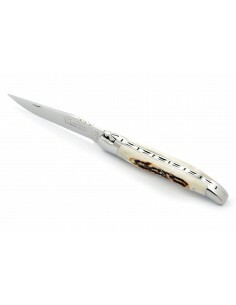 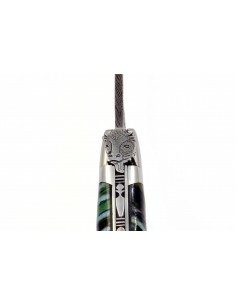 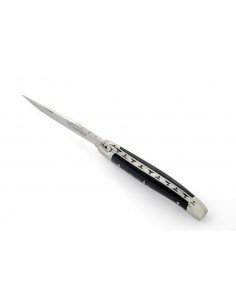 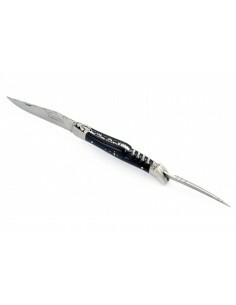 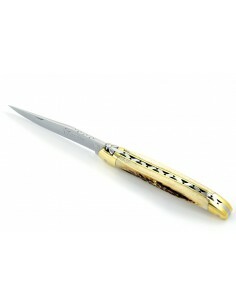 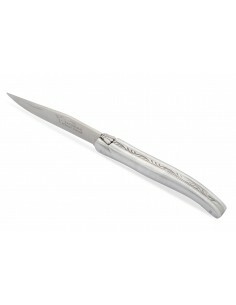 Modernity obliges, most of the knives Laguiole are proposed with stainless steel blades. 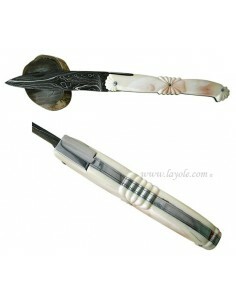 The maintenance, the sharpening and the sharpening are easier, they do not give taste to food and do not darken. We often speak about steel " sandvik " of the name of the Swedish company which makes this steel. You will find here the steel Sandvik 12C27 and the steel Sandvik 14C28, the last generation. Forged bee and hand-chiseled spring, blade with a guard. 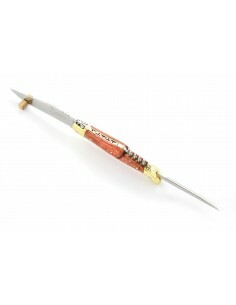 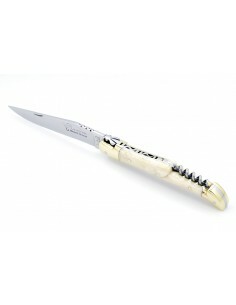 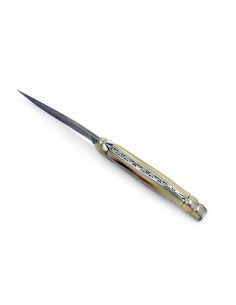 Bovine bone handles are slimer thant the other models of the range due to the used material. The drill of the corkscrew is stainless. It is a real knife Laguiole of 10.5 cm length (closed), equipped with all the accessories of the pipe smoker. 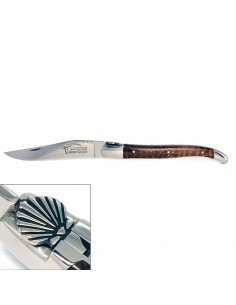 Laguiole pocket knife "Horse riding"
Collector's folding Laguiole with sapphire inlay Forged bee and hand chiseled spring. Blade with a guard, slight shaping handle for a better handling. 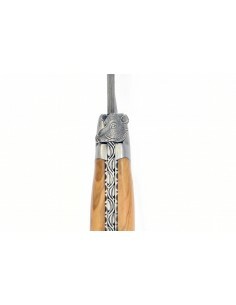 Forged bee and hand chiseled spring. Blade with a guard, slight shaping handle for a better handling. The drill of the corkscrew is stainless. The drill of the corkscrew is stainless. Our Laguiole with welded bee have a slim handle and the spring is chiseling die.The drill of the corkscrew is stainless. Our Laguiole with welded bee have a slim handle and the spring is chiseling die.Awl and corkscrew are stainless. Our Laguiole with welded bee have a slim handle and the spring is chiseling die.Awl and corkscrew are stainless. NB : Delivery outside the European Union is not possible for a kingwood handle (International Convention). Forged bee and hand chiseled spring. Blade with a guard, slight shaping handle for a better handling. The drill of the corkscrew is stainless.The drill of the corkscrew is stainless. Forged bee and hand chiseled spring. Blade with a guard, slight shaping handle for a better handling. The drill of the corkscrew is stainless.Awl and corkscrew are stainless.